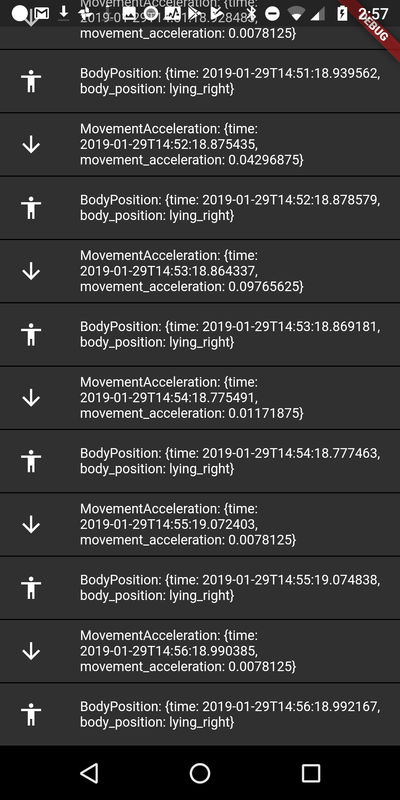 A plugin for connecting and collecting data from a Movisens sensor. This plugin excelusively works for Android. Add movisens_flutter as a dependency in pubspec.yaml. For help on adding as a dependency, view the documentation. A Movisens object is instantiated by providing a UserData object, which is, in essence a Map structure containing a list of required fields for the Movisens sensor. These include: Weight, height, age, sensor address and sensor name. Data from the sensor is streamed continuously, which is done by calling the listen() method on a Movisens object. An exception will be thrown if the listen method is invoked on a platform other than Android.